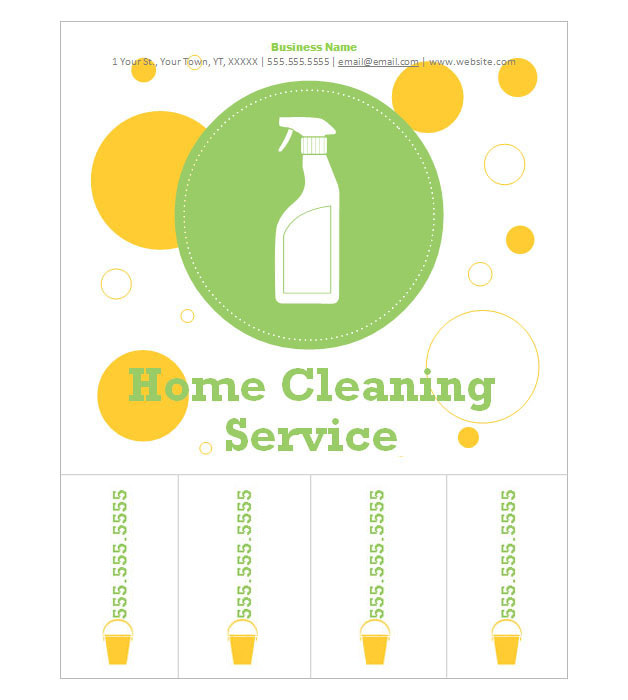 Starting a home cleaning business? This customizable tear-off design will help you get the word out. If you do not wish to use Avery paper, we suggest using the PDF document to print an 8.5" x 11" letter sized paper. you will need to manually cut the tear-off sections.